This chapter addresses nascent discourse around psychedelics from the 1960s. It connects notions of play to earlier European and the popularity of Vedanta with thinkers like Aldous Huxley. 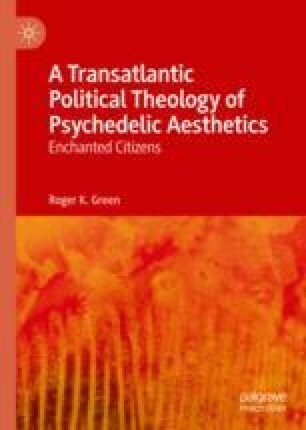 It gives a more detailed discussion of the framing of the term “psychedelic.” As well as an account of professional psychological discourse on the uses of psychedelics during the 1960s. It shows a blend of secular humanist optimism native to the United States in the discourse.